High-quality, tapered roller bearing is designed for high-speed use. Replacement part uses industry-standard number. Lowest Prices for the best trailer bearings races seals caps from etrailer. 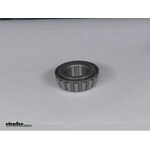 Replacement Trailer Hub Bearing - 02475 part number 02475 can be ordered online at etrailer.com or call 800-298-8924 for expert service. Flange Wheel Nut - 5/8"
Today we're going to take a look at the replacement trailer hub bearing, number 02475. This is a high quality tapered roller baring which is designed for high speed use. All bearings will be stamped with the industry standard numbers on them regardless of the brand. You can see right here there's the 02475. 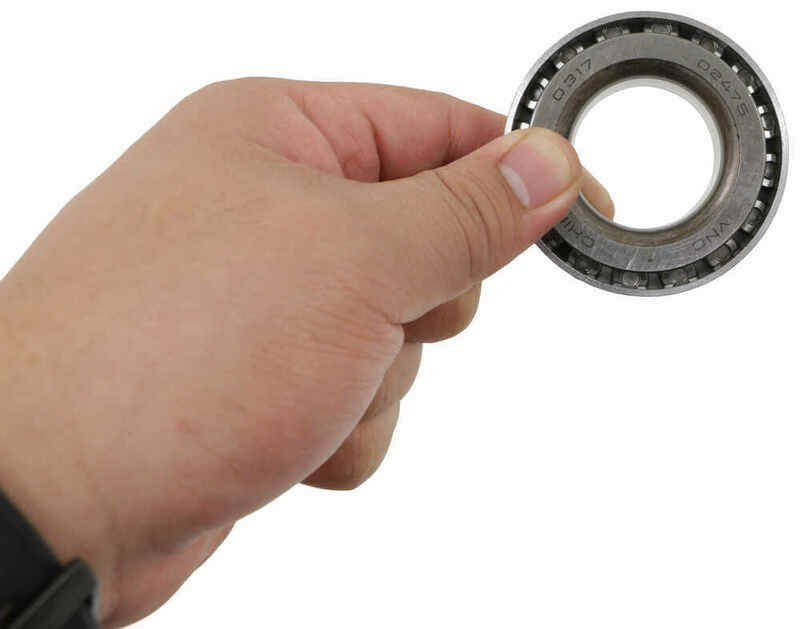 The inner diameter of the bearing is listed to help you choose the correct bearing for your spindle. The inner diameter on this one is going to be right at 1.25 inches. 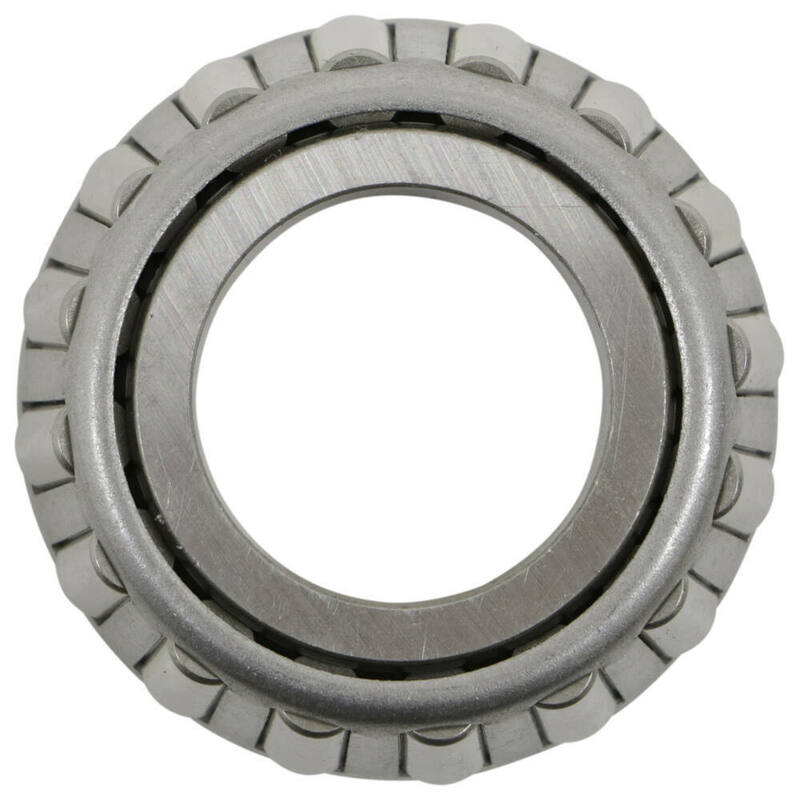 The matching race that this bearing will sit in to rotate, we do sell that separately on our website as part number 02420. 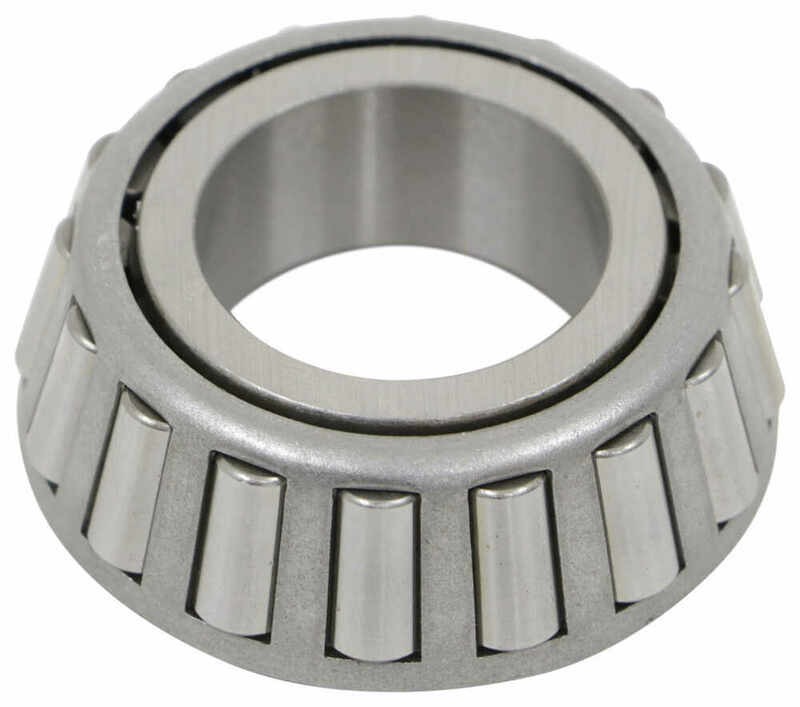 The application on this bearing is the outer bearing for hubs 8-231-8, 8-218-9 and 8-187-7 hubs. That should do it for the review of the replacement trailer hub bearing number 02475. Order: RelevanceNewestRating - High to LowRating - Low to High High-quality, tapered roller bearing is designed for high-speed use. Replacement part uses industry-standard number. For Dexter 7k axles we have the Kodiak XL Disc Brake Kit part # K2HR712D which is a confirmed fit and would work well. You will need to provide the bearings though which are part numbers # 25580 and # 14125A. For a grease seal you would need part # RG06-070. For Dexter and most common brand 7k axles we have the Kodiak XL Disc Brake Kit part # K2HR79E which is a confirmed fit and would work well. 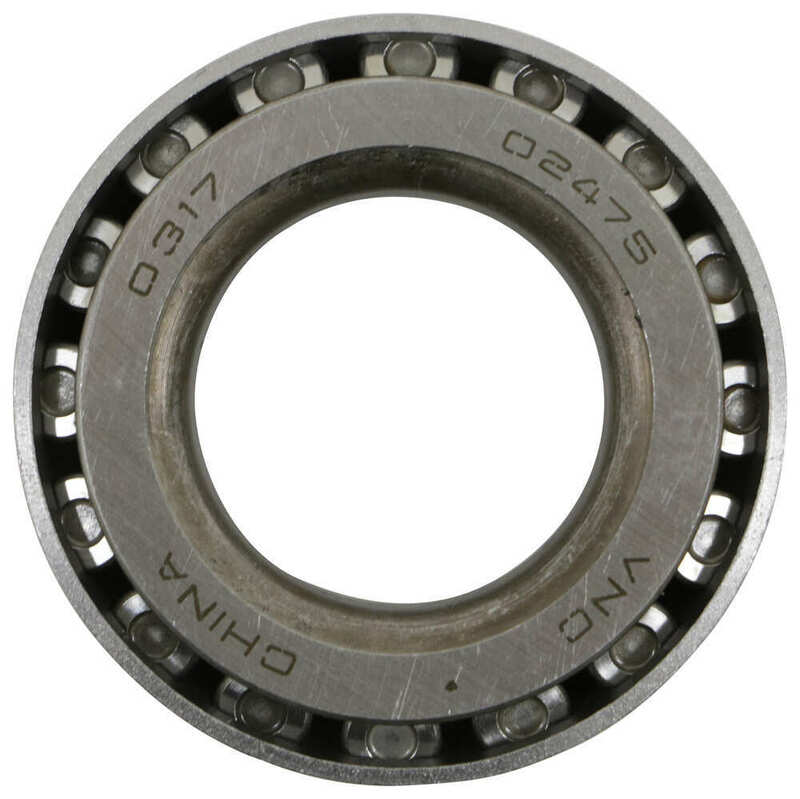 You will need to provide the bearings though which are part numbers # 25580 and # 02475 (you need two of each of these). For a grease seal you would need part # RG06-070. For an actuator you would want the part # HBA16. We have the Kodiak disc brake kit part # K2HR89DD which is a kit confirmed as a fit for 8,000 lb Lippert axles like what you have. You'll need the bearings separately as # 25580 and # 02475 and then for a grease seal # RG06-070. For Dexter 7k axles we have the Kodiak XL Disc Brake Kit part # K2HR79E which is a confirmed fit and would work well. 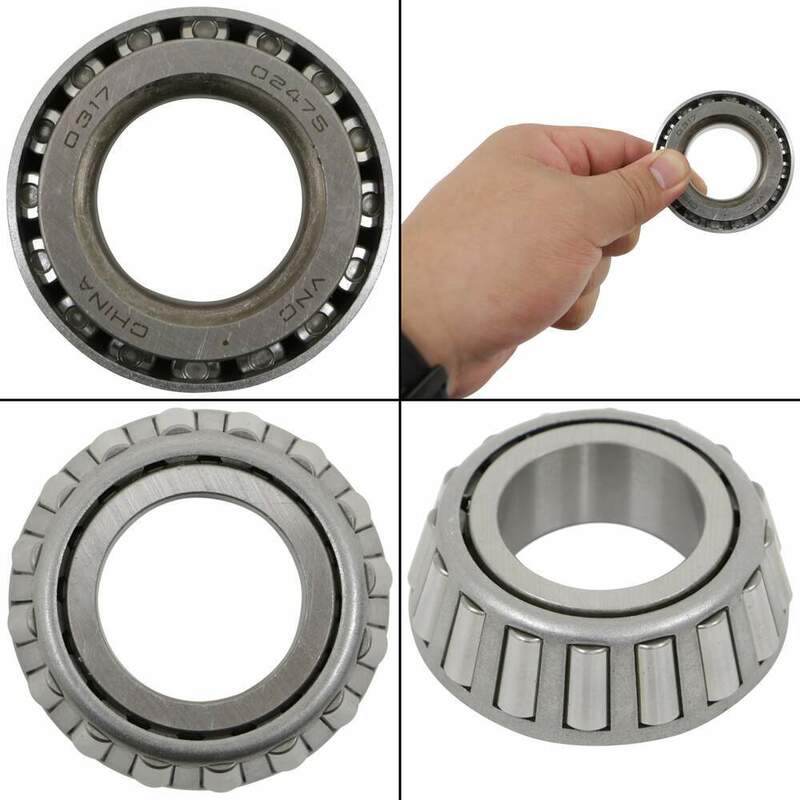 You will need to provide the bearings though which are part numbers # 25580 and # 02475. For a grease seal you would need part # RG06-070. We have everything you would need, but just not in a kit at this time. For bearings you would need # 02475 and # 25580. Race # 02420 and # 25520. Then for a grease seal part # GS-2250DL. Based on all of these part numbers it looks like you have Kodiak kit part # K2HR79E on your trailer. Yes, using oil bath hub seals # 10-63 will work with the Kodiak disc brake kit you ordered, # K2HR79E. The kit already has the oil caps so you wouldn't need those. The brake kit does not include the bearings. You would need 2 of # 25580 and 2 of # 02475. I reached out to my contact at Kodiak and they advised me that the Kodiak Disc Brake Kit 7,000 lbs # K2HR712D takes ½” studs only. When you go to 9/16” studs, the 7k axle kit # K2HR79DS comes with an 8K hub that takes that only takes the # 02475 bearing. Because you cannot fit 9/16” or 5/8” studs in a 7K hub Kodiak switches it to a 8 K hub. The 6K, 7K, and 8K spindle is the same spindle, the only difference is the outer bearing changes. I spoke with my contact at Kodiak and he said that the Disc Brake Kit, # K2HR79E, will work with your Dexter EZ Lube 7000 pound Torflex axles. In addition to the brake kit, you will need the following: Inner Trailer Hub Bearing, # 25580, Qty 2 Outer Trailer Hub Bearing, # 02475, Qty 2 Grease Seal, # RG06-070, Qty 1 These will work with wheels that have an 8 on 6-1/2 bolt pattern and 9/16 inch wheel stud diameter. The Dexter Trailer Idler Hub Assembly, Item # 8-287-14UC1, has 9/16 inch studs. It works with 8,000-lb axles. The kit includes inner bearing (25580) and race, outer bearing and race (02475), race, oil seal, cap, wheel bolts, and lug nuts. It fits a 8 on 6-1/2 inch bolt pattern.